This implant is powered by your body. Pacemakers and other implantable medical devices have saved many lives, but they don’t come without their own inherent risks. Implanting them requires major surgery and a recovery period longer than the norm as the body both bounces back from surgery and adjusts to a foreign object inside of it. Traditionally, these devices are also powered by batteries, which eventually die. This poses a risk for devices that aren’t replaced on time, naturally, but even when they are, replacement of those batteries means another surgery and recovery, plus the risks of infection that come with them. Furthermore, batteries house toxic materials, which always have the potential to leach out of the battery’s casing and into the body. ” and alongside an energy harvester, a device that turns motion and heat from the human body into energy, it uses the natural chemistry of the human body to generate power. Fluids in the human body contain ions, which are charged particles that the energy harvester can harness as a power source. The biological supercapacitor then stores the energy for use running the device — all without causing any harm to the body. The biological supercapacitor itself is made up of graphene layered with human proteins that have been modified to act as electrodes. 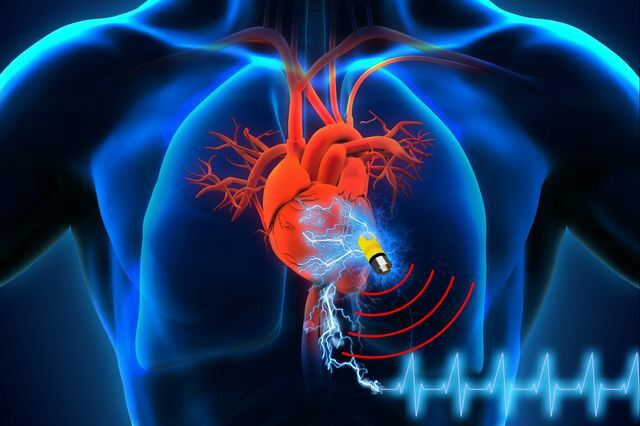 This design allows for much smaller implantable devices; for example, about half of the current pacemaker is taken up by the battery, whereas the biological supercapacitor is only 1 micrometer thick — less than the thickness of a human hair. The researchers revealed this game-changing technology in a paper published in the journal Advanced Energy Materials. The researchers also think that this design might be applied in other ways inside of the body, to stimulate the brain or grow new bone, for example. This novel design may prompt a new era in medical devices that are more comfortable, less risky, and last for life. Your Skin Heals Itself. Soon, Robots’ Skin Will, Too.